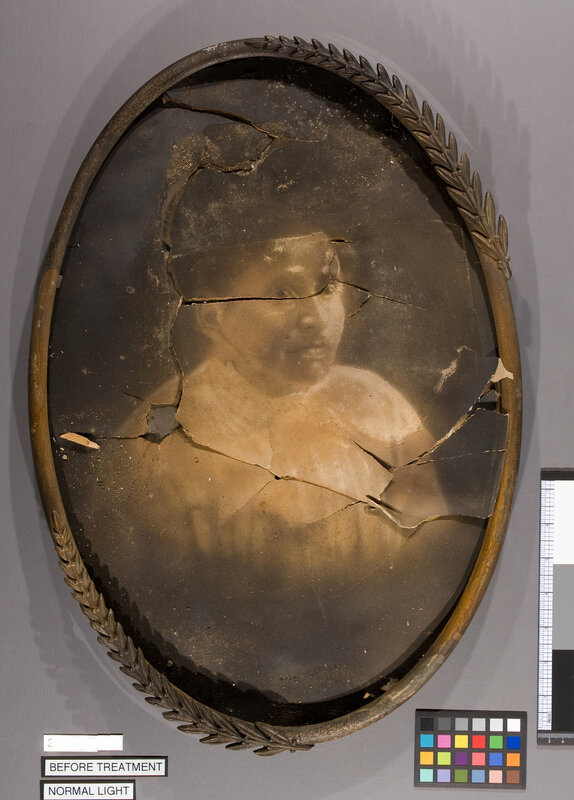 This convex photograph was badly damaged in a fire. 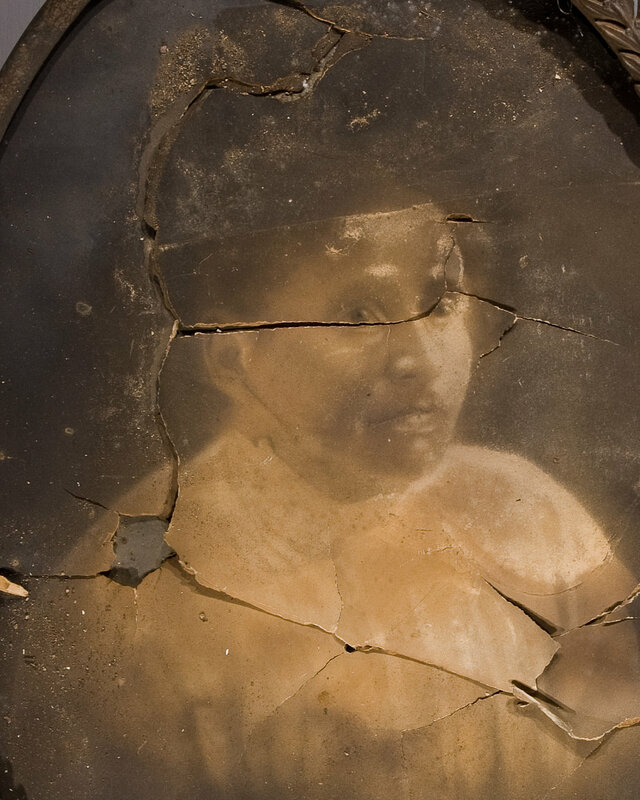 The glass had shattered and the photograph was crushed, with damage from heat and water as well as heavy accretions of soot and other materials. After surface cleaning, the old backing was removed and the photograph was blotter washed to reduce discoloration and acidity as possible. A new convex mount was fabricated with Arches paper using a piece of convex glass to produce the curved shape. 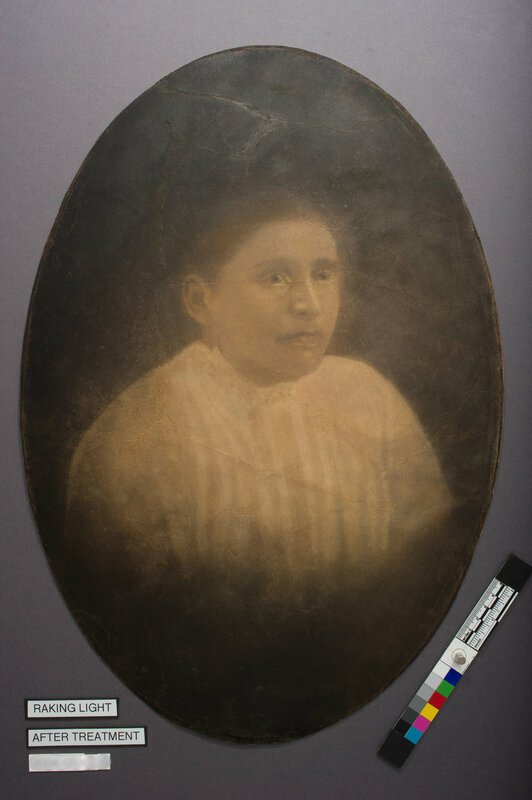 The photograph was adhered to the new mount followed by filling of losses and inpainting with watercolors and pastels to minimize the appearance of stains and losses as possible. The metal frame was treated by conservator, Linda Lennon. The custom replacement convex glass was fabricated by Mirror Fair in New York.